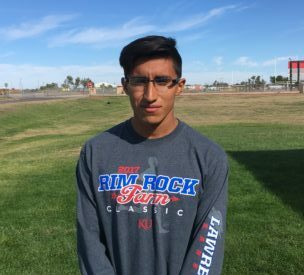 Liberal junior runner Xavier Perez is the Mead Lumber Athlete of the Week. Perez finished third in the WAC at Garden City last Thursday. He ran the race in 17:43. His best time was a 17:27 in Newton earlier this season. Perez is trying to qualify for state a second time. Perez also participates in wrestling and track. He and the Redskins run at the regional at Lake Afton near Wichita on Saturday morning. The participating teams are Goddard, Goddard Eisenhower, Maize, Maize South, Great Bend, Kapaun, and the host Bishop Carroll. The top three teams and next 10 best individuals make state at Lawrence October 28.